Am I colour blind? That’s brown, right? The bag is brown. And she has it in black too. It’s Tom Ford. It is, as Sasha noted last year, 4 Gs. 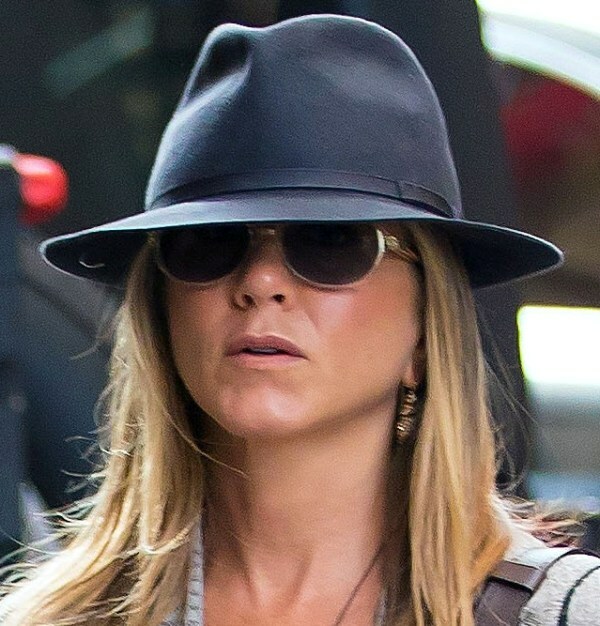 And she has two of them, Jennifer Aniston. 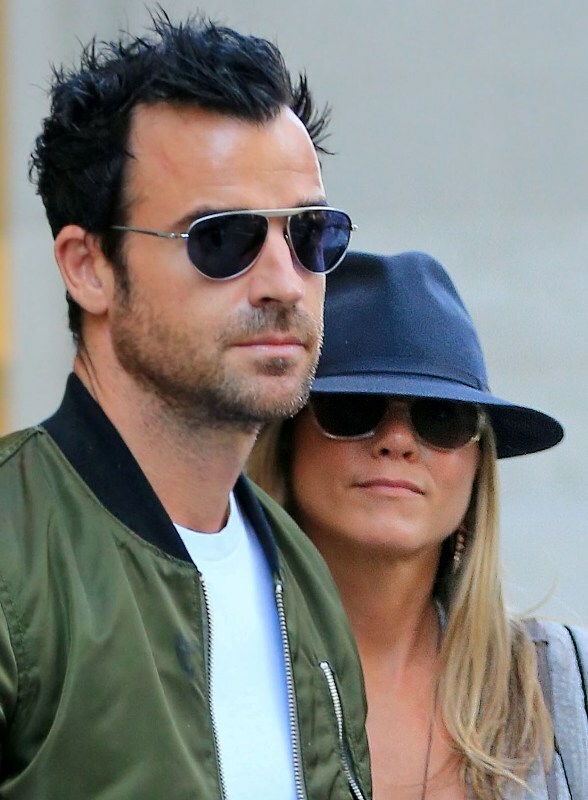 Jen was in New York this weekend with fiancé Justin Theroux. It just occurred to me that she’s marrying a dude with the same first name as Bieber and since I’m so immature, this makes me laugh. According to PEOPLE Jen hit up the Bette Midler show on Broadway the other night and had dinner with friends but only drank water. Well thanks for that, “source”. Jen and Justin haven’t worked in a while. Would have been a perfect time for the wedding. US Magazine says they’re putting it off because of Brange, so as not to compete with whatever they’re doing. Or maybe because Brange hasn’t decided yet when it’s going to be? Or because there’s nothing to promote? What good’s a wedding if there’s nothing to sell and nothing to fight at the same time?